Squeeze bottles aren’t just for ketchup and mustard anymore. While they are perfect to help you complete your hot dog or burger, squeeze bottles are now a vital part of the kitchen as well. Knowing what type of squeeze bottle you should choose for your specific need will help you be safer and more efficient. You aren’t limited to just the same squeeze bottle you are probably picturing in your head. Squeeze bottles come in a wide variety of sizes. From 2 ounces all the way to 32 ounces, match the usage with the appropriate sized squeeze bottle to minimize food waste. There are also squeeze bottles designed for the front and the back of the house. 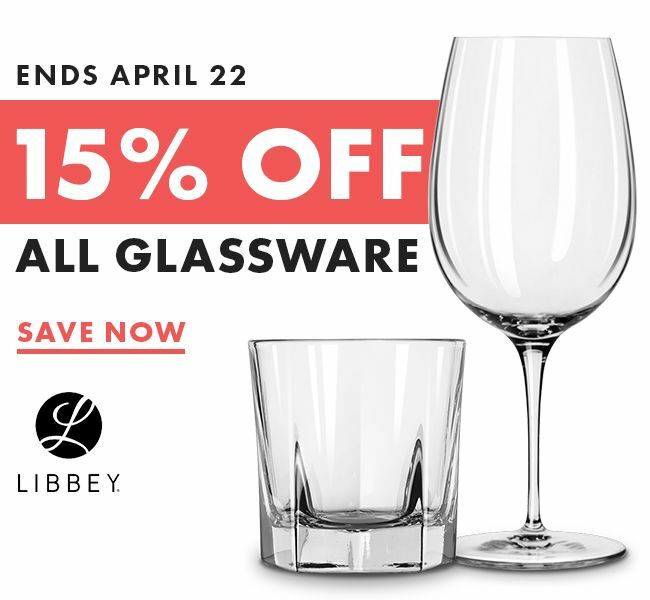 Use standard or widemouth bottles on your tables to create that classic diner look or choose the efficiency and durability of an inverted top bottle. Think beyond ketchup! If it’s a condiment and it’s a liquid – it can go in a squeeze bottle. Easily identify the content of your squeeze bottles for speed and efficiency with squeeze bottle accessories. Colored caps, silicone bands, or tethered caps help those on the prep line quickly identify the correct sauce or condiment to use. 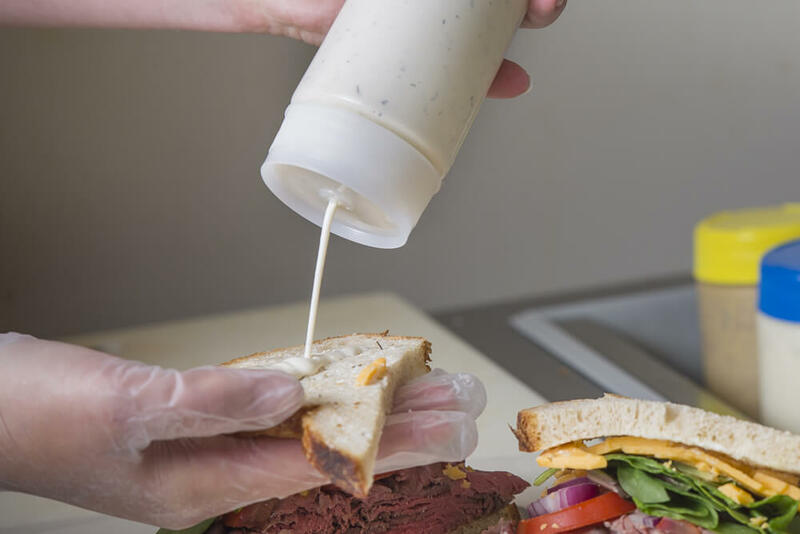 You can even imprint squeeze bottles with your company logo or the name of your signature sauce for the front of the house. Of course, that entails some minimums and artwork charges. Lids are designed to help you have precise control of the contents within your squeeze bottle. Your lid should match the viscosity of your sauce. Viscosity is the measure of a fluid’s resistance to flow. The higher the viscosity, the harder it is to make it flow. For a restaurant, high viscosity items are things like honey or mayonnaise, while low viscosity items move fast, like vinaigrette dressing. For items that are harder to flow, inverted squeeze bottles with silicone valve nozzles, like TableCraft’s Invertatop, help contents flow to the nozzle because they are stored upside down. Low viscosity contents should have a narrow tip for better control. Most standard tips can also be trimmed to size to increase the flow rate. The future is now: Invertatop squeeze bottles are engineered for versatility and food safety. Look for National Sanitation Foundation (NSF) certified squeeze bottles to ensure they are up to the highest food safety standards. These bottles have passed testing that ensures they can easily be cleaned, and are made of materials that are safe for contact with food. 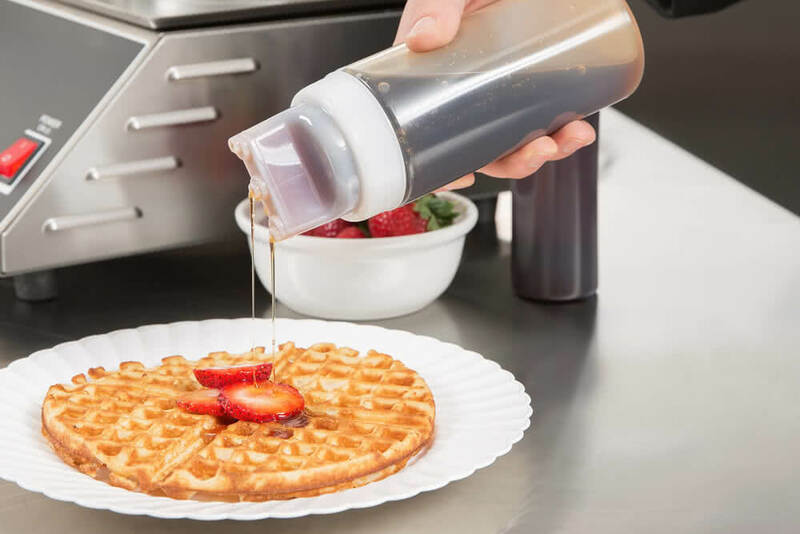 There are even brush tip lids that help lather sauce directly on to food, three nozzle tips designed to cover a wider area in a single pass or presentation and flip top caps that protect the contents from drying out when the bottle is not in use. Squeeze bottles seem like an all-in-one solution, but if you want to get the most of our your squeeze bottle and the content inside, it’s important to know everything a squeeze bottle can offer! 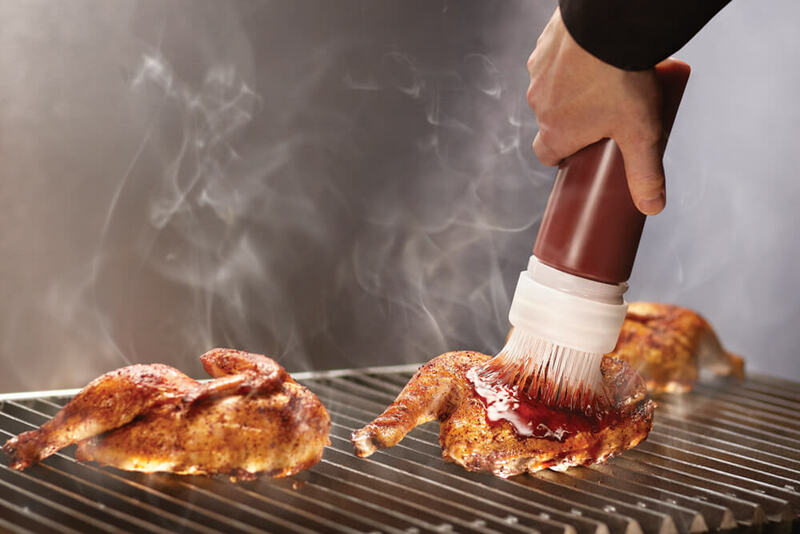 Dispense and brush BBQ sauce at the same time with a squeeze bottle – this changes everything!